We are very proud to present our latest selection from our new fiction arrivals. In this month’s picks we have something to suit a wide variety of tastes from a new work by Captain Corelli’s Mandolin author Louis de Bernieres to a new novel by Kate Mosse, and a fantastic new work by Patchwork Planet author Anne Tyler titled Clock Dance. We hope you find something in our top picks for this month that you will truly enjoy. 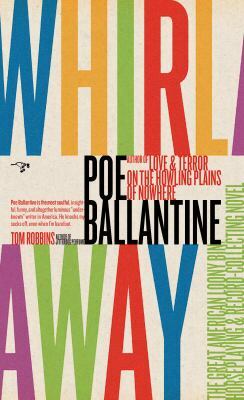 Whirlaway : the great American loony bin, horseplaying & record-collecting novel / Poe Ballantine. Boy swallows universe / Trent Dalton. So much life left over / Louis de Bernieres. Varina : a novel / Charles Frazier. “In his powerful new novel, Charles Frazier returns to the time and place of Cold Mountain, vividly bringing to life the chaos and devastation of the Civil War. The very marrow of our bones / Christine Higdon. How to be famous / Caitlin Moran. The burning chambers / Kate Mosse. Clock dance / Anne Tyler.